If you go to your doctor with acid reflux symptoms most will likely prescribe you an anti-acid tablet like a PPI (proton pump inhibiters) or H2A (H2 antagonist). Most of the time they won’t even mention your diet which could be in fact causing the problem in the first place. Of course, for someone with minor heartburn or even for someone who has a condition like GERD (Gastroesophageal reflux disease) the medication will likely help. The problem with taking medication instead of tackling the root cause is that further problems can develop because of not properly treating the root problem. Someone who takes medicine like PPIs or H2As frequently may want to consider looking more carefully at their diet and even some of their lifestyle choices. The clear choice here is that before taking medication like the ones I mentioned before you should consider looking at your diet and lifestyle. Of course, the first thing you want to look at is your diet. Some foods and drinks can not only make acid reflux worse, but they can bring it on in the first place. For a lot of people who may suffer from reflux only occasionally and even for some who suffer from it more often simply eliminating these foods will often to enough to make any of their acid reflux symptoms like heartburn simply disappear. If eliminating these foods doesn’t totally cure you it will almost help lessen your symptoms. For someone with more serious GERD or someone with LPR (Laryngopharyngeal Reflux) this may not be the total picture. If you didn’t know LPR is a type of acid reflux where the acid refluxes up into the throat where the main issues arise. If you have LPR consuming something more acidic will not only cause the reflux but it being in direct contact with the throat can cause further irritation. This is why for someone with LPR they may need to take an extra step and need to follow a more serious diet that is even less acidic and more alkaline. For someone with GERD the medications (PPIs) have been shown to be effective though these same medications are not effective at treating LPR. If you suffer from GERD taking these meds will help though you need to consider the side effects that may come along with them. If you didn’t know PPI’s lower the acidity in the stomach a lot. This may sound good but don’t forget the stomach needs to be very acidic because it has to break down foods properly for digestion. 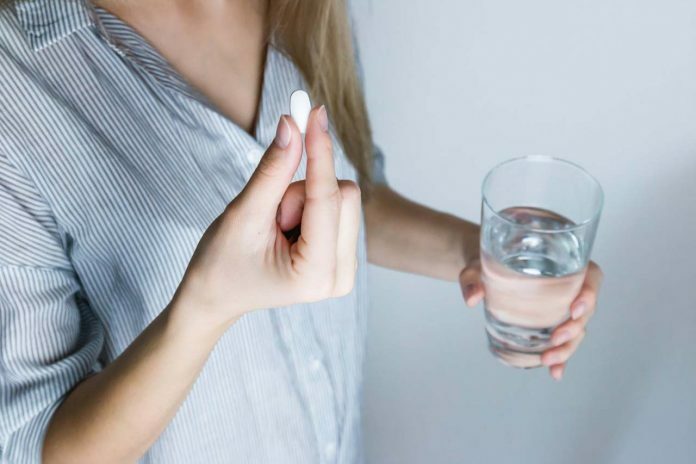 Having this lower acidity when taking these medications has already shown links to lowering the absorption of certain vitamins and minerals such as vitamin b12 and calcium. If you are frequently taking these tablets its worth trying to make the suggestions I said earlier alongside the medication. Then ideally you could slowly lower the dose of the meds until you are off them completely. Keep in mind that if you want to come off these tablets that you should slowly wean of them instead of lowering them to 0 in one day. This is because of a thing called the rebound effect, meaning if you stop these medications too quickly you will get a rebound effect – a rebound effect of greatly worsened acid reflux. If you want to stop them you should do it slowly over time and slowly drop the dosage in increments until you are completely of them for good. Overall taking these anti-acid tablets is something you shouldn’t do without thinking about it. Some people end up taking them for years on end and this can have a bad impact on your long-term health. Of course, some people need them, but these people should also try to follow a stricter diet plan that can often help more than the medication alone. At the end of the day everyone is different and different things can help different people, so it is definitely worth considering your diet for treating acid reflux. Sometimes it won’t completely fix the problem, but it should set you on the right track unlike the medication which will almost certainly have the opposite effect! Next articleAre Tape-In Hair extensions recommended for super short hair? Here’s why! David is an acid reflux expert and he has his own blog at Wipeout Reflux where he covers a host of different topics covering reflux with a more prominent focus on LPR.